Lake Level: Normally left at or near full pool for winter (Call 1-800-lakes-11 for Lake levels) Normal, full pool lake level is 312.0 Previous summer drought or annual fall dam inspection may have Mitchell Lake low this fall season. If so, use caution when navigating. 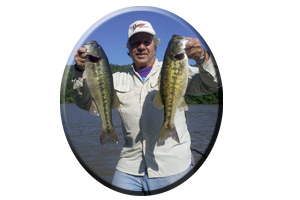 When Spotted bass come to mind, the lower you go on the Coosa River, the bigger they get. I caught my personal best spotted bass on this lake on the Fourth of July, 2002. I caught this fat spotted bass at 10 a.m. on a zara super spook. It weighed a whopping 7.12 pounds and was released. 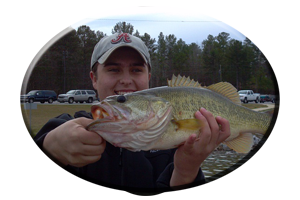 Mitchell Lake has given up hundreds of these Coosa Spots, many over 4 lbs. and some close to 8 pounds, in years past. Many tournaments are won with 5-fish bags of spots, weighing close to 20 pounds. The lakes headwaters give up many of these current-oriented bass. Below upper Lay Lake dam are deep washed-out holes, huge underwater boulders, rock bluffs and towering islands. All are homes to these bass that favor a little depth nearby during winter. Many lures take these bass. Near the dam try spinnerbaits, spoons, or light-line finessing with smaller 4 in. worms, grubs and lizards on jig heads. Crankbaits, bumped along the bottom during water generation, account for a lot of these bass feeding for the upcoming winter. Shad and crayfish colors are popular. Jig & pork (or plastic chunks) combos dragged along the bottom in the swift current take some of these finicky bass when the bite slows. Down the lake some hefty largemouth’s refuse to take a back seat to the noted spotted bass on Mitchell Lake. Right after Veterans Day a few years back, I had two five pounders and an eight pounder, all on the same day, fishing shallow 60 degree water. They were caught on spinnerbaits, crankbaits, spooks and rattletraps. Some weeds remain green in sunny areas throughout January, and February attracting baitfish and some largeheads, some in the 6-8 lb. category. Many of these big bass will still hit topwaters during these warming trends. 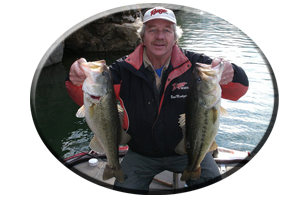 They will nail a buzzbait, spinnerbait, rattletrap or crankbait when they are active. 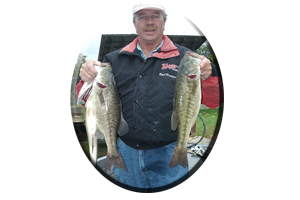 Other bass must be coaxed from cover with very slow presentations and stealth in your approach. 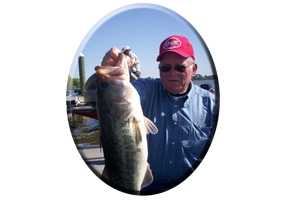 * Or you can call always call on Reeds Guide Service (205) 663-1504 for fishing Mitchell lake or any Alabama lake, year round!